The sanitary sewer system provides collection of waste water from nearly properties in Ivins City and delivers the water to the City of St. George which takes the water to a treatment plant. The City of St. George treats a portion of the water to be reused in local irrigation systems and working on expanding this capability further. Many residents are unaware of their responsibilities in helping us maintain the capacity of our system and avoid blockages. Also these tips help to improve the efficiency of water treatment. Do not put diaper wipes in the toilet. Even if the manufacturer makes the claim of flushable. These flushable type will not break down and may still contribute to clogging and increased maintenance. Do not put even paper towels down the sewer. Make sure the basement sump pump does not connect to your sewage drain pipes or to a sink or floor drain I your basement. Such connections are illegal. The water from these pumps can overload the sewer causing it to overflow raw sewage into a stream, street, or someone else’s basement. Inspect the gutters on your house or business to see if the down spout connects to a sewer line. Such connections are illegal. If the gutters are connected to the sewer line, have them disconnected. The runoff water from the roof can contribute to an SSO. Look for and check your sewer clean out. The clean out usually is a small pipe, about 4″ in diameter, outside your house that is used to access the service lateral for cleaning the sewer line. You can find it near the house, where the service lateral comes out, and/or near the street, where the service lateral connects to the main sewer line. Make sure the cap to the clean out pipe is on and has not been damaged. Replace missing caps; otherwise, rain can get into the sewer line, causing it to overflow. Avoid pouring grease down your sink. When the grease cools in the sewer line, it can form clogs and blockages, which then can cause the sewer to overflow or back up into buildings. Grease can also contribute to restricted flow in your home plumbing and service laterals, resulting in costly repairs. Avoid planting trees and shrubs above or hear the service lateral that runs from your home to the street. Roots can enter and clog sewers, causing them to back up and overflow. Maintaining or improving the condition of the City’s collection system infrastructure in order to provide reliable service into the future. Cost-effectively minimizing infiltration/inflow (I/I) and providing adequate sewer capacity to meet demands. 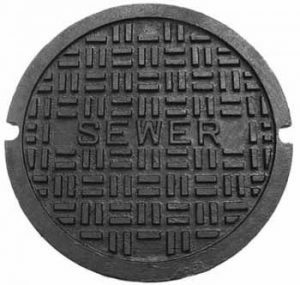 Minimizing the number and impact of sanitary sewer overflows (SSOs) that occur.